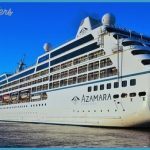 Overnight Stays: Azamara takes pride in offering numerous overnight (and, in some cases, multinight) port calls, an unusual itinerary for a mainstream line. This allows guests time to spend more time on shore without worrying about dashing back to the ship before it leaves port. AzAmazing Evenings: The line’s nighttime excursions are winners, offering unique, exclusive experiences in some of the world’s best ports of call from Barcelona to Bangkok. More Inclusive: Rates include wine, beer and cocktails, and gratuities, as well as self-service laundry and shuttle buses in out-of-the-way docking locations to take you to town. Swell Ships: These ships, once part of the late, great Renaissance cruise line, offer a slice of classic cruising, with elegant public rooms that have only been enhanced under Azamara’s leadership. 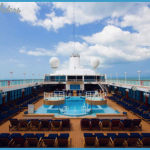 Small Pools: The pools and pool decks should be larger for the number of guests onboard. They get packed to the gills on warm days. No Kids’ Programs: Azamara doesn’t cater to kids. At all. You’ve been warned. 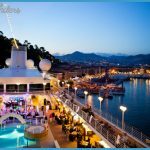 Launched in mid-2007, Azamara Club Cruises is a high-end and adult-oriented sister brand to Celebrity and Royal Caribbean, offering more out-of-the-way itineraries, better service and cuisine, more enrichment opportunities, and lots of little extras. The line’s two ships are midsize gems that were originally built for now-defunct Renaissance Cruises. 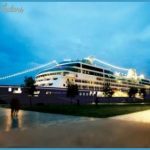 Essentially, if the thought of sailing with 6,000 people makes you queasy, these vessels will give you that intimate cruise vacation without breaking the bank. The idea behind Azamara is straightforward: smaller ships sailing longer itineraries, visiting out-of-the-ordinary ports, and offering a casual yet country-clubbish experience, with great service. In an age dominated by bigger and bigger megaships, we welcome the return of midsize vessels with open arms. Like Oceania (see p. 245 ), Azamara provides an experience that straddles the mainstream and luxury segments of the cruise biz somewhere between Celebrity and Crystal or Regent, though its luxury inclusions (complimentary house wines at lunch and dinner, free gratuities, free specialty coffees and bottled wines, more overnights in port and high-end excursions) are nudging the line closer to the high end. 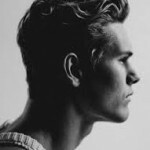 Not that it was all that mainstream to begin with. On the Pool Deck, a quiet jazz trio replaces the kind of loud pop/reggae band found on most mainstream ships, and in the cafe you’ll often find a harpist plucking out classical tunes. Service is exceptional, from the butlers who attend to all cabins to little touches such as the cold towels offered at the gangway after a hot day in port. Dinner time is flexible just show up when you like, either at the main restaurant, at two reservations-only alternatives, or at a casual but still waiter-serviced buffet restaurant. 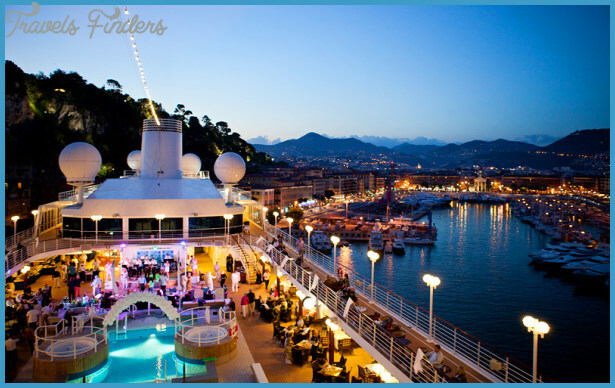 Onboard activities run from the usual (bingo, napkin folding, team trivia) to the unusual, including poetry reading/writing get-togethers and seminars on etiquette and art. At night you can take in a floor show at the theater, catch a performance by a guest magician or comedian, do the karaoke thing, watch a late-night movie, or take in music in several of the public rooms. 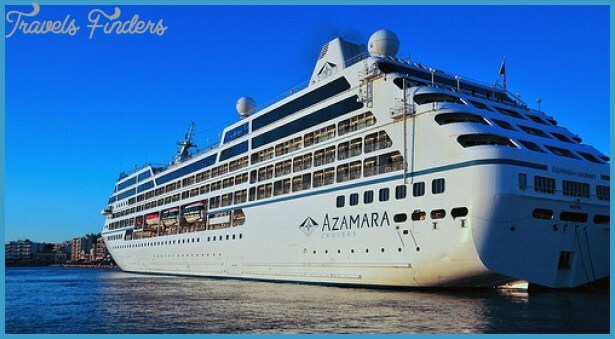 Azamara has also made longer, overnight port calls one of its key offerings. To complement these overnight stays, the line introduced AzAmazing Evenings: included after-dark experiences exclusive to the line. These can range from a concert in a museum in Split, Croatia, to a private party on a Tuscan hillside with music by three tenors. The line’s Nights and Cool Places offers evening tours of destinations, focusing on what’s special about the port, such as illuminated landmarks or evening-specific nightlife. 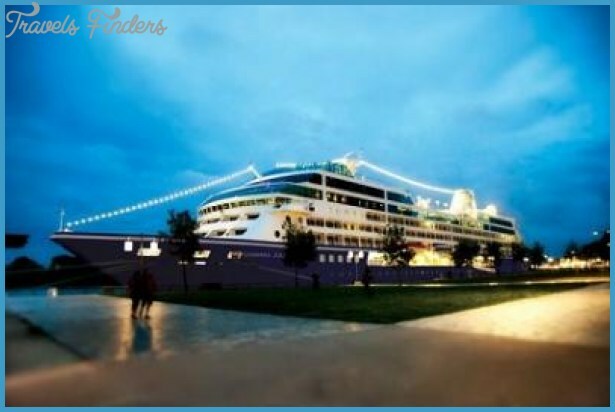 Another program Cruise Global, Eat Local guides passengers off the well-trod tourist paths toward a restaurant beloved by locals bus tours will even drop you off there after your shore excursion has ended. The line travels to the Mediterranean, Baltic, Caribbean, and the Panama Canal, but also does more far-flung itineraries in Asia, Australia, and New Zealand, and excels at showing passengers a destination in depth. Azamara draws a primarily English-speaking crowd mostly North Americans, but also Brits and Australians. These passengers are active, well-traveled, and mostly empty nesters and young retirees. Dining service which is excellent on parent-company Celebrity is at least as good here, and probably a little better. At mealtimes, passengers have full flexibility in terms of where, when, and with whom they dine. Dinner is available in four restaurants: one traditional, two specialty ($25/person charge at each, except for suite guests who have complimentary access), and one casual. House wines are complimentary with lunch and dinner in all restaurants, and more expensive vintages (including selections from boutique wineries around the world) are available for purchase. 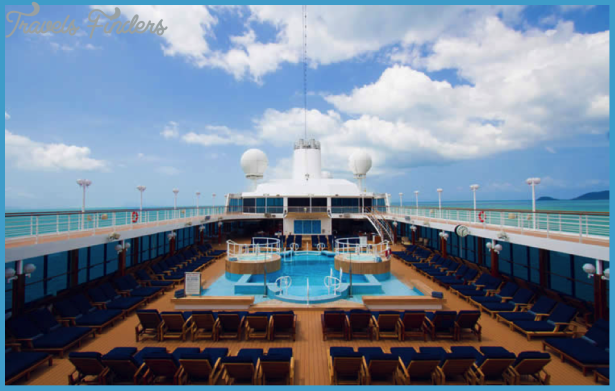 Ships have a small pool, spa, and gym, as well as a small casino, and there are also port lectures onboard and the usual array of trivia contests, wine tasting classes and the like. But the focus on these ships is clearly centered on getting passengers on land, and helping them to explore. There are no formal nights onboard, and instead the line policy is casual elegance every evening. This creates a relaxed atmosphere for dinner, which is the main event onboard.